It is time for you to give a boost of elegance and style to your jewelry store, and now the easiest method to do it is choosing a nice and state-of-art display for your jewelry. You can start with the T-Shaped Tall Acrylic Jewelry & Necklace / Bracelet Holder. 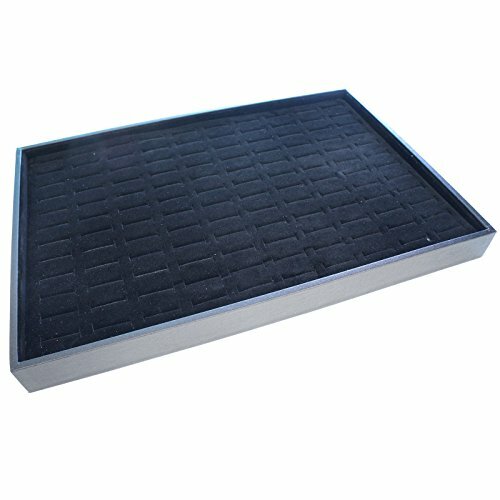 This is a wonderful piece to add to your store, as it perfectly combines functionality with style. 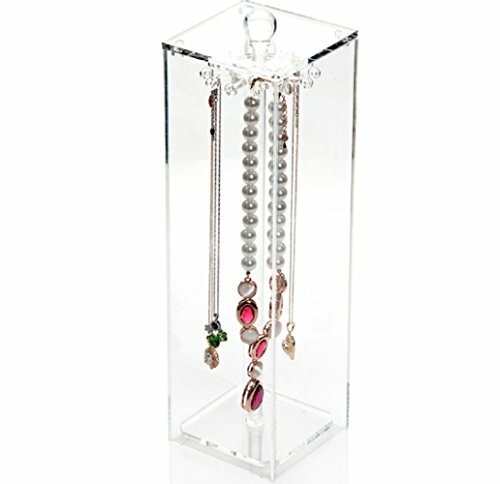 This necklace holder is made of clear acrylic, which gives an elegant touch to the display, and to your store. It is ten inches tall and is provided with a bar of 8 inches long. 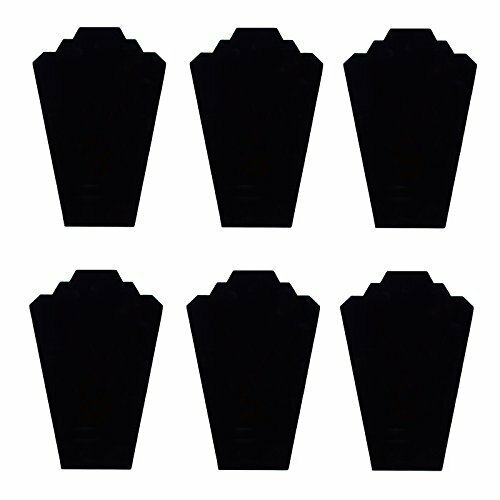 This holder can be used to organize some of your favorite necklaces and bracelets. It can accommodate a variety of necklaces and bracelets of different sizes. 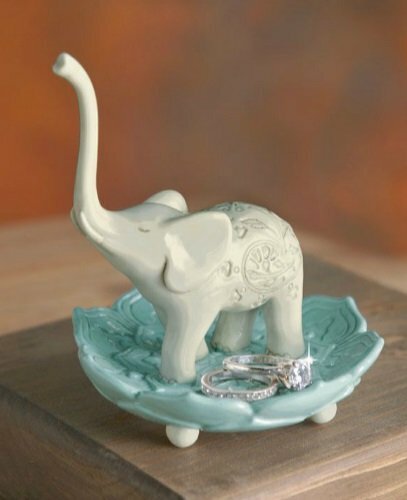 This necklace holder is provided with larger ends at the bar, to make sure your jewelry won’t fall off. 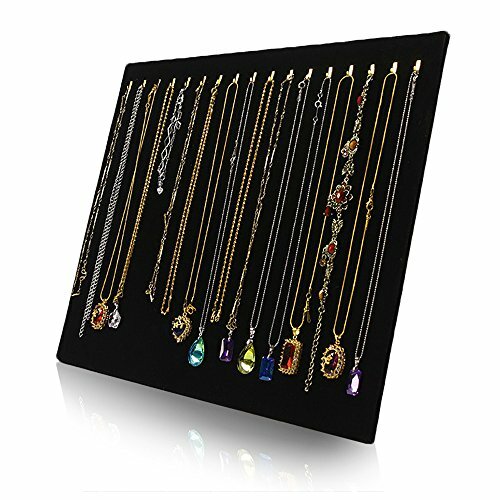 You can place it anywhere in your store, to create a beautiful, elegant and sophisticated showcase of your most precious necklaces and bracelets. 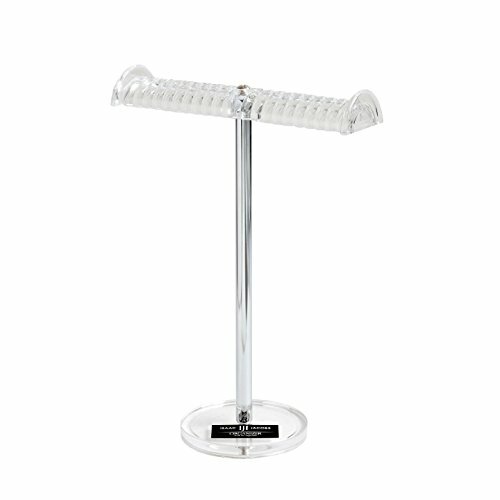 Due to its clear acrylic, this necklace holder allows your customers to focus on the necklaces displayed on this holder, without being distracted by colorful items. Whether you place it in the storefront window, on a shelf, in a display case or on the countertop, this necklace holder is sure to attract many views, as it will elegantly display your jewelry. Besides using it in your jewelry store, you can also use this display in your home or offer it as a gift to someone you love.